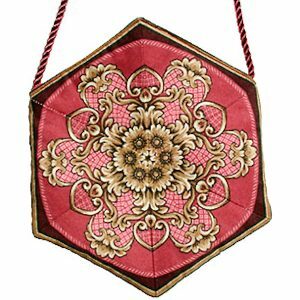 This quilted fabric purse is perfect for those times when you do not want to carry a large purse, such as going to church, out to dinner, or even walking at the mall. 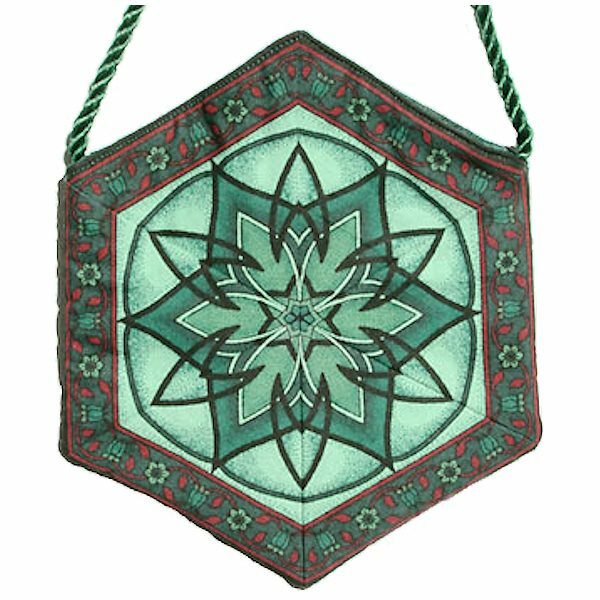 Six matching fabric triangles are sewn together, forming a kaleidoscopic design. Each side is a different design, but in the same color. Size: 7” from point to point. 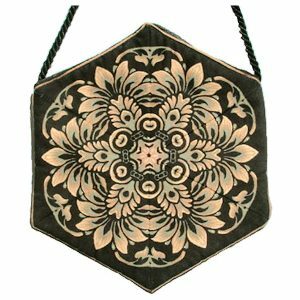 The finished purse has a width of 5-3/4″ and a height of 7″.